Chatrium Hotel Royal Lake Yangon held a Christmas Tree Lighting Ceremony & Donation and Jingle & Mingle Tourism Networking to mark the beginning of this joyous season. The program of events were as follows. The evening started with an opening speech from General Manager Ms. May Myat Mon Win to welcome this joyous season with warm heartfelt thanks from Chatrium Hotel Royal Lake Yangon to the assembled diplomats, business partners, invited guests, media and associates. 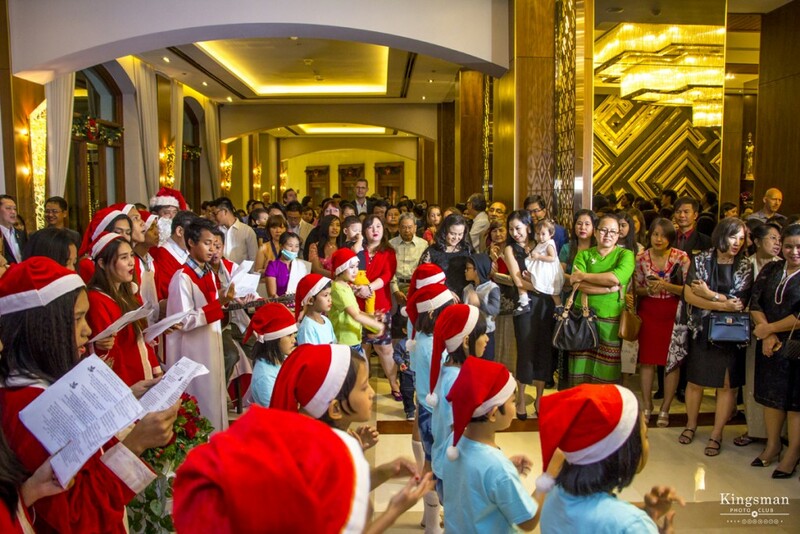 The event continued with the lighting of the Christmas tree at the hotel lobby. 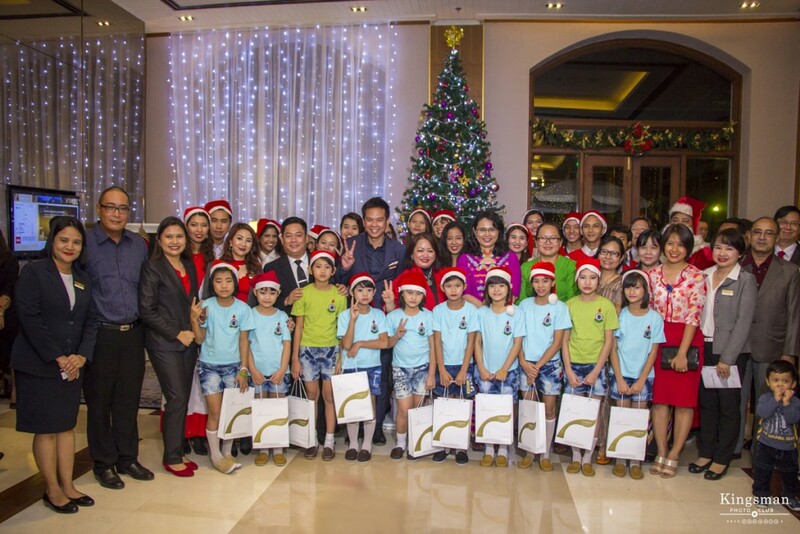 The hotel invited children from Mary Chapman School and St. Barnabas Catholic Church to gather with the beautiful associates from Chatrium Hotel Royal Lake Yangon for carol singing and the event continued with cheerfully festive and joyous Christmas songs. 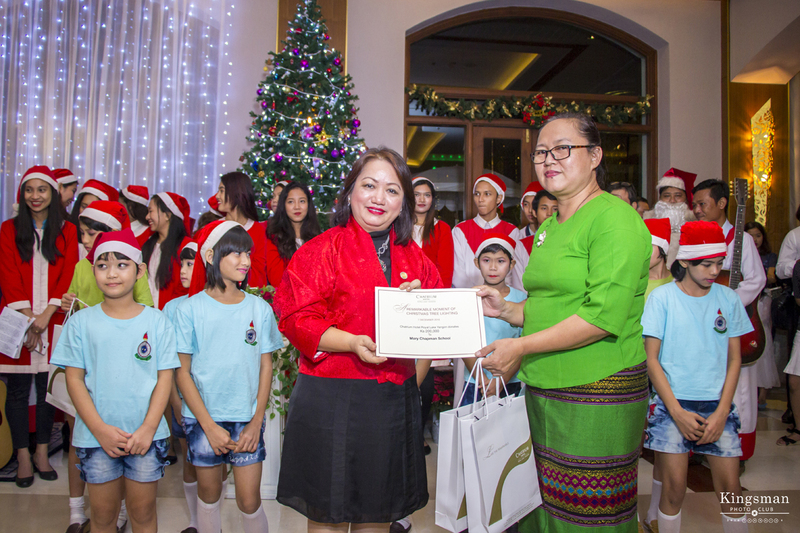 After the carol singing, Chatrium Hotel Royal Lake Yangon made a donation to Mary Chapman School and St. Barnabas Church. A joyous cocktail dinner followed at The Grand Ballroom with free-flow wine, Myanmar beer and soft drinks from F&N Myanmar accompanied by live music. To welcome this joyous Christmas, the Lobby Lounge is offering Christmas goodies starting from 1st of December and The Emporia Restaurant will present a Christmas Gala Dinner on the 24th and 25th of December. Special Orders are being accepted for Roasted Turkey (5~6 kg) – US$ 130.00 nett; Christmas Cake (1 lb) US$ 15.00 nett; Christmas Log Cake (1 lb) US$ 15.00 nett (Chocolate/Vanilla/Coffee); Stollen Bread US$ 10.00 nett per slice; Christmas Cookies (1 box 250 g) US$ 4.00 nett and Christmas Fruit Cake (1 lb) US$ 15.00 nett *All orders must be placed one day in advance. 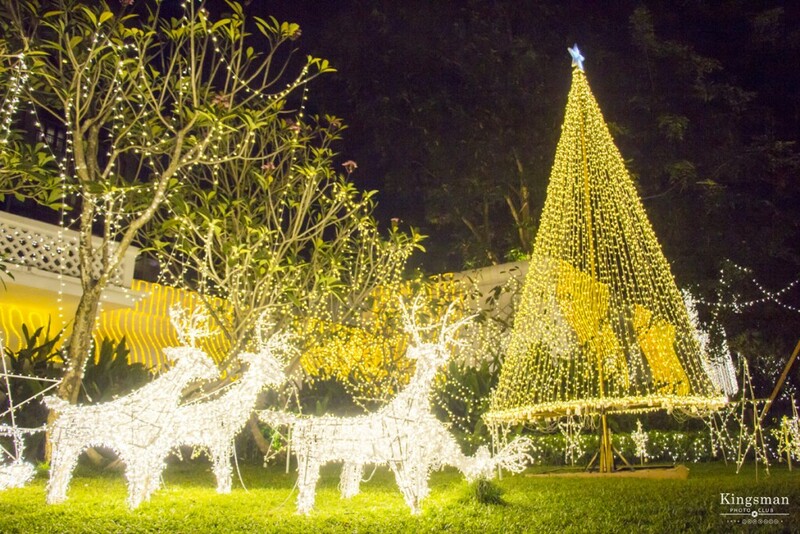 The Emporia Restaurant will present a Christmas Gala Dinner on 24th and 25th of December 2016 at US$ 45.00 nett per person featuring an International Buffet with roasted turkey and many more festive dishes together with complimentary free-flow selected drinks. 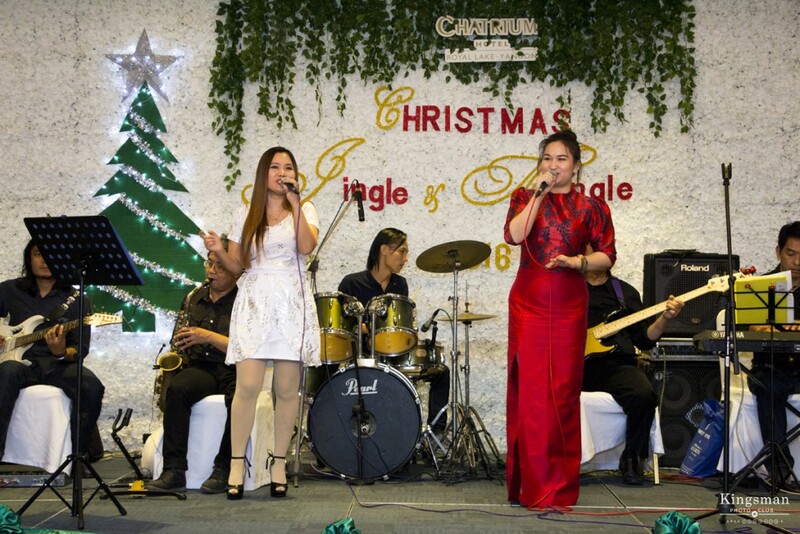 Chatrium will also celebrate a “Viva Las Vegas” New Year’s Eve Party on 31st December from 7 p.m. onwards at Ngapali Pool Garden. Tickets are available for First Class at US$ 120 per person and Premium Class at US$ 140 per person. The party will include an International Buffet Dinner with free -flow wine, beer and soft drinks. For tickets, please contact 95 1 544 500 Ext: 6612 or email sales.chry@chatrium.com. About Chatrium Hotel Royal Lake Yangon: Chatrium Hotel Royal Lake Yangon is part of Chatrium Hotels & Residences, a Luxury Hotel Collection, and is one of the city’s foremost hotels for pure luxury and rich colonial-style architecture. It is situated amid lush greenery beside the famous Kandawgyi Lake, providing simply stunning and spectacular views of the Shwedagon Pagoda. Every guestroom is spaciously designed and influenced by local culture with some touches of oriental heritage. Our highlight is the Royal Lake Suite, the premier suite of Chatrium Hotel Royal Lake Yangon, which has accommodated many celebrities and Heads of State who have visited Yangon and stayed at the hotel. The Royal Lake Suite is located on the top floor and is beautifully decorated in colonial-style luxury. The 300 sq.m.suite offers opulent and comfortable spaces for living and dining and includes a private balcony that showcases the sweeping panoramic views of the Shwedagon Pagoda and Kandawgyi Lake. Visit us at www.chatrium.com or www.facebook.com/Chatrium.